If you are a fan of sparkle then you are in for a treat! 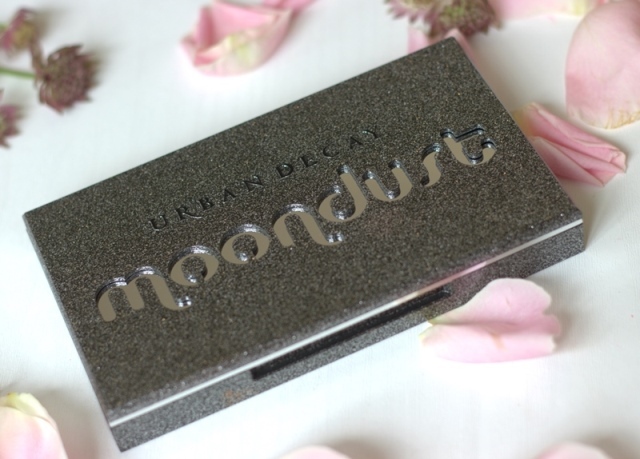 This new Moondust palette by Urban Decay is about to take you to the moon, stars and galaxy in just a few swipes. I have been known to play around with the Moondust eyeshadows at Urban Decay counters just admiring the sparkle and 3D effect of the eyeshadows. 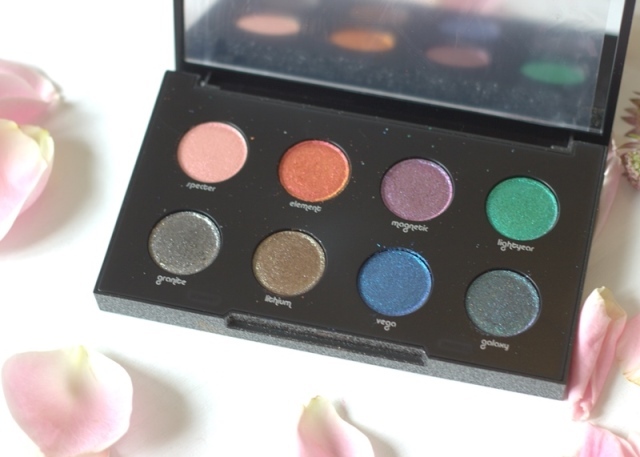 Described as a ‘glimmering lunar rainbow’ this palette sparkles like no other. Just from the gunmetal glitter packaging, you know you are in for a treat. The Moondust eyeshadows contain microfine particles of iridescent sparkle which makes them unique. Urban Decay was the first brand I went to for glitter, I was told back then (around 10 years ago now) that Urban Decay do glitter well. It was so true then and still is now, I mean look at this palette! 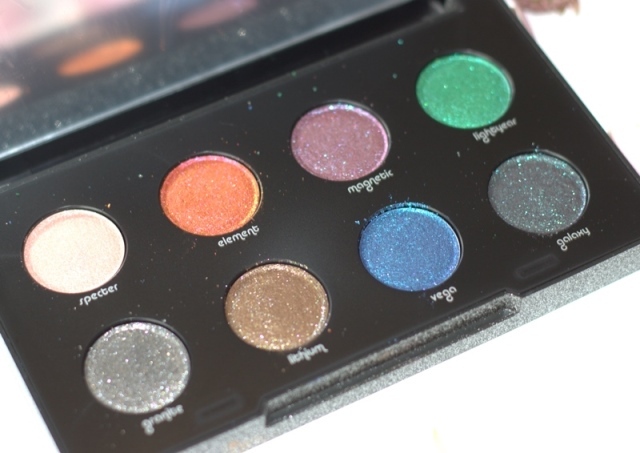 This is just that wow palette that all beauty addicts who have a weakness for sparkle like I do will be lusting after. I think for most shades such as Specter, Granite and Lithium will be easy to wear as they are very neutral with lots of sparkle. For me Vega and Galaxy are the shades that stand out to me and scream festival make-up or ‘take me to the galaxy’ make-up, if that day should ever come. I think Element, Magnetic and Lightyear are a little harder to wear but they are just so pretty! 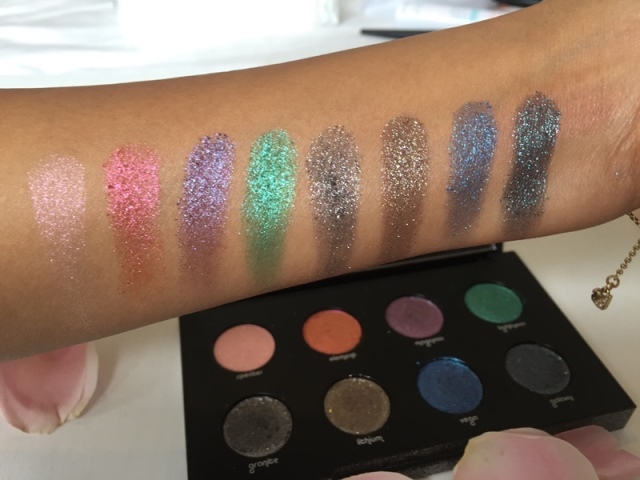 The swatches have been created with one simple swipe so there is a lot of pigment and sparkle in these eyeshadows. Each eyeshadow has a 3D effect and create the ultimate diamond like sparkle. The Moondust palette is £35 which is a great deal as each individual Moondust eyeshadow is around £14. You can see my sparkly moonlight tutorial below, I am absolutely in lobe with this look! Please comment below and let me know what other tutorials you would like to see with this palette.